Choosing the best generator for the job comes down to thoroughly assessing what you need your generator for, where you’ll be using it, and what features it needs. Below is a comprehensive guide to determining which of our specialised generators is right for your specific application, and if you have any more questions, don’t hesitate to get in touch with our expert team on 1800 442 447 for more detailed advice. Here’s everything you need to consider when selecting a generator. 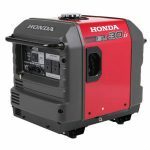 Generators are used to perform a wide variety of tasks, and Honda offers an extensive range of models to suit almost all potential users. They provide a high quality, consistent power source that is reliable and convenient off the grid. 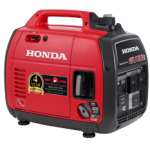 The information below provides a guide for the suggested use of generators in our Honda range. 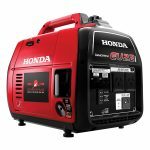 At Generator Place, we have a huge range of quality Honda generators for sale, ideal for everything from camping and caravanning to a full-service backup power supply for homes and businesses. 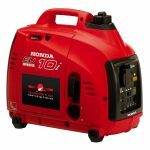 Check out our entire range of Honda generators, batteries, accessories, service kits and more! Camping or travelling in the bush, forest or park doesn’t mean you have to leave your creature comforts at home. Recreation and camping generators are portable enough to use on-the-go and built to power all your appliances and devices without a mains power supply so you can always stay connected. 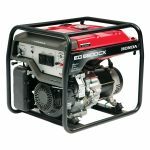 TOP PICK – This generator is ideal for camping or caravanning without air-conditioning and a constant power supply. Portable and super-quiet, this model is powerful enough to be used just about anywhere. Stay connected from day to night with caravan generators designed to be taken on the road. From phones, laptops and tablets to fridges, air conditioning units and GPS devices, these powerful and economical generators will keep you comfortable and connected to your loved ones no matter how far away you are. The first of its size to guarantee quality power at a commercial level, this model provides reliability and consistency when you’re on the road. TOP PICK – Ideal for a caravan with air-conditioning units, this lightweight generator is quiet, powerful and economical on fuel. Great for caravans, this handy model is named for its convenience and ability to be taken anywhere. With both electric start and remote start available, this model is economical and powerful with a whisper-quiet engine. Travelling on the road is bound to take you away from the main grid at one point or another. When this happens, motor home generators will make sure you don’t have to give up your creature comforts. Power your kitchen appliances and electronic devices from anywhere and make your motor home into a comfortable home away from home. This generator is ideal for motor homes with air-conditioning units, delivering high-speed, commercial-grade power. Great for motor homes and travelling away from the grid, this model is easy to load, transport and set up. TOP PICK – This model is ideal for taking on the road and is available in electric and remote start. Generators aren’t just for when you’re away from home – a reliable back-up power supply will make sure you’re never without electricity when you need it most. Whether it’s a blackout and you have time-sensitive work to finish or you just want a cost-effective alternative to the main grid, home generators will give you the constant and reliable energy supply you need to stay in control. Perfect for home use, this generator is ideal for running lights, small fridges, TV’s and computers. A reliable emergency power supply in a blackout, this model will run lights, fridges, TV’s, computers and other household appliances. 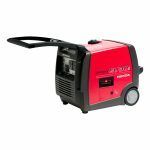 This convenient, portable generator is designed for most power applications in the home. Suitable for most household power applications, this model combines power and economy to meet individual load demands. This reliable, consistent energy supply is an ideal emergency power backup for homes and businesses. This generator is suitable for outdoor use, workshop tools, lighting and higher-grade professional equipment. Your work or construction site needs a power supply you can depend on to keep you on schedule. Trade and industrial generators are specifically designed for tough work environments, featuring heavy-duty construction for easy transport between locations and reliable electricity generation to power every corner of your worksite. This Honda developed technology ensures constant, clean electricity for both indoor and outdoor use. Designed specifically for construction sites, this heavy-duty and reliable model starts the first time, every time. Featuring voltage stability, a centralised switch layout and innovative styling, this model is safe and efficient in all industrial environments. This open-frame generator is designed with all the controls in one place for convenience and accessibility on trade and industrial sites. Delivering cutting-edge performance and technology, this model has an ultra-sturdy frame for portability and protection during transport. 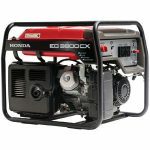 Honda generators for tradesmen and personal use are known for their quiet operation. Honda has engineered exceptionally quiet portable models, but also offers less costly options that may serve your application at a lower cost and without the same whisper-quiet operation. While a camping application may require a super quiet EU series choice, home standby and construction applications would be satisfied with a Deluxe or Industrial series model, and some applications will allow for the Economy series that does not have the additional features required to provide quiet operation. In every case, it’s important to consider your needs and purpose when using a generator, and choose one that matches these requirements. Honda engines are renowned for their ease of starting, even when only equipped with a manual recoil starter. Honda offers many models with the convenience of electric start for applications that may require remote start or where the ease of electric start is preferred. 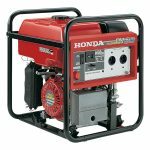 While all Honda generators are portable by definition, many models include standard wheel kits for easy movement of the generator from storage to worksite. Consider all the options available to you when selecting the right model for your home or work application. Generators produce AC voltage, very similar to the voltage available in your home. However, while your electricity company produces sufficient power for all your electric powered devices, a portable generator is limited in power output directly relational to the engine horsepower. The amount of power that a generator can produce is rated in watts. Rated power is generally 90% of maximum power, as certain components lose efficiency as they are heated from use. To determine your wattage requirements, you should determine which devices need to be powered simultaneously and what the starting requirement of the device is. A Wattage Calculator is provided to assist you. Remember that with simple power management techniques, a small generator can provide adequate power for home or recreational appliances. Rated power, or the power that a generator can produce for long periods of time, is a more reliable measure of generator power. Typically, the rated power is 90% of the maximum power. For example, a 2500-watt generator produces a maximum 2500 watts of power. This means at maximum power, this generator could light up 25 100-watt light bulbs at the same time. However, the rated wattage of this generator would be 2300 watts, and it should only be used to power 23 100-watt light bulbs. When considering your power needs, first determine the highest power application such as a well pump for home power, or an air compressor for the job site. The power required to start the capacitor motor on these applications will determine the rated power of the generator you should choose for your application. In the previous example, the light bulbs are the load of the generator. A 2500-watt generator can handle a load of no more than 2500 watts maximum. Resistive loads are usually appliances that do not have electric motors. A reactive load, on the other hand, contains an electric motor. Some household appliances like a heater or refrigerator have internal fans that come on intermittently, so extra wattage/power is needed to start the fan. Another example is power tools. An appliance or tool with a reactive load may require up to three times as much power (wattage) to start as it does to keep it running. The above equation shows the relationship between watts, volts and amps in a purely resistive load. If you know any of the two variables, the third can be calculated. Example: You want a generator to power a 1000-watt floodlight. The light is 120V and requires 1000 watts of power. Using the equation, we can calculate that the floodlight will draw approximately 8.3 amps of electrical current. Starting: The electric motor requires more power to start. The starting power required can be up to three times the running amount. Running: The power required to run the electric motor once it has been started. Loaded: When the electric motor begins to work (saw begins cutting wood, drill begins drilling through a wall), its power requirement will increase. This is not applicable for most household appliances. The second method requires a visual inspection of the data tag supplied by the electric motor manufacturer. All electrical motors have a data tag attached to their bodies that give volts, amps, phase, cycles, horsepower and sometimes a code. Volts (V): The volts must be either 120 (110-120) or 120/240. 120/240 means that the motor can be wired to operate on 120V or 240V. 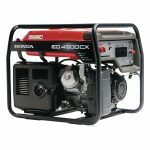 Honda generators are either 120V or 120/240V. Amps (A): This indicates the amps required to run the electric motor but doesn’t consider starting or loaded power requirements. 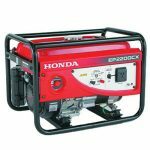 Phase (PH): Honda generators can power single phase motors only. Horsepower (HP): The rating of how much work an electric motor can perform. Code: This isn’t always provided on the data tag. It represents the maximum starting power required of the electric motor. Cycles (Hz): All U.S. electrical appliances run at 60 cycles per second. The load code is a letter which represents the amps per hp required to start the motor. Multiply the code (amps) by the hp of the motor to determine the starting amps. For example, the data tag on our electric motor shows a code of L. Our motor is 1/3 hp. An L code is 84 amps per hp x 1/3 (motor hp) = 28 amps to start the motor.